I recently made some edible sand for O to play with and even though he was a bit of a grump due to his teeth he still had a go. I’m not sure I would call it our most successful sensory play experience, he barely broke half a smile, but he did have a go and that’s all that matters! Why do babies and toddlers need Sensory Play? Sensory play is so important for children. They get to have a great time, usually getting quite messy, while experiencing new sensations and engaging with the world around them. 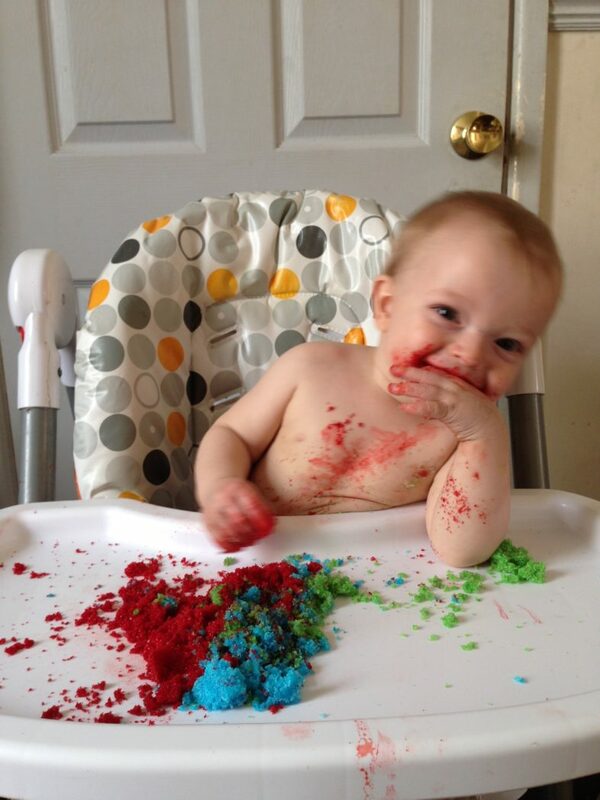 One way babies and toddlers learn about the world is by putting everything they can get a hold of into their mouths. I mean Everything! So when you are making a sensory play for babies and toddlers you have to take this into consideration and provide things that are harmless even if they do start to shovel it into their mouths. 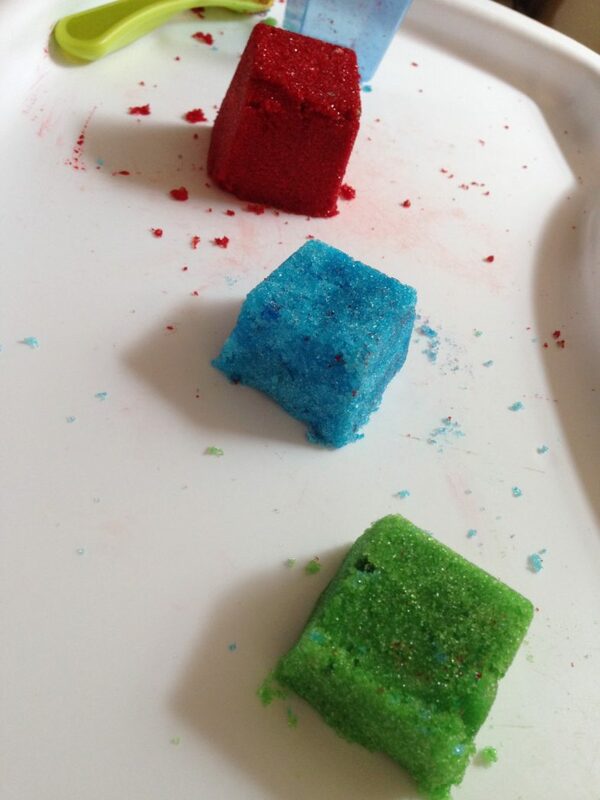 There are lot’s of edible sensory play ideas out there, Pinterest is brimming with ideas! Obviously, even though it is edible, you won’t want them to sit and just eat it, but some tastes won’t hurt them. You can add as much sugar as you like but I wanted to keep it on a small scale as O was in his highchair. If I were doing this on the floor I would probably double/triple the amount. 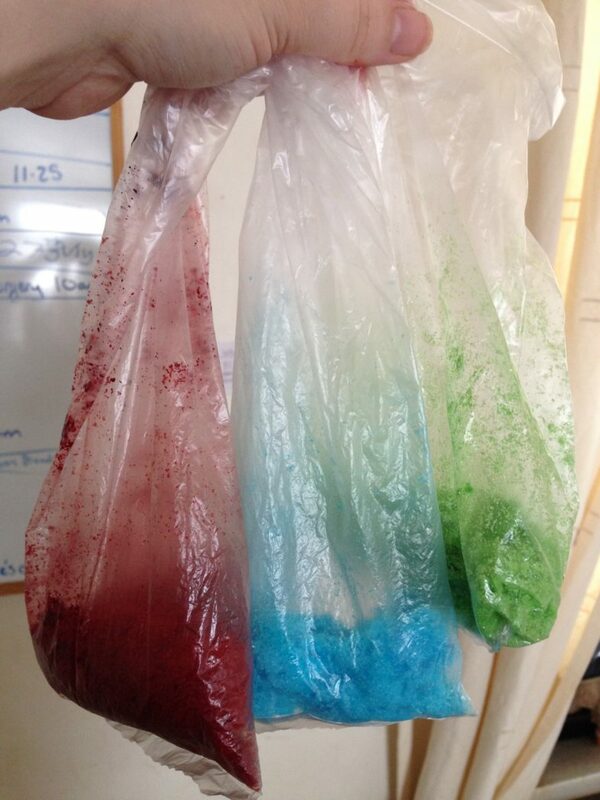 Stage 1: Place you sugar into the sandwich bag and squeeze in your food colouring a little at a time. I used a gel colour, I’m not sure how well the liquid ones will work, they may be too wet but it’s worth a try! Stage 3: repeat until you have all the colours you need, I had to put more sugar into the red as that was quite a strong colour. When I first put O in front of the brightly coloured mounds he was a little confused. With hindsight I have realised that he has only ever really eaten in his highchair before, rarely sat there to play so I’m sure he was trying to figure out what kind of dodgy foodstuffs I was trying to con him into eating this time! Okay it didn’t help that I also gave him a spoon but I was winging it a bit lol. what was this stuff again Mami? But he soon got into it. He was happier to bash it rather than use his hands but had a great time sending bits flying everywhere. hmm, I’m sure he wasn’t that colour a minute ago? 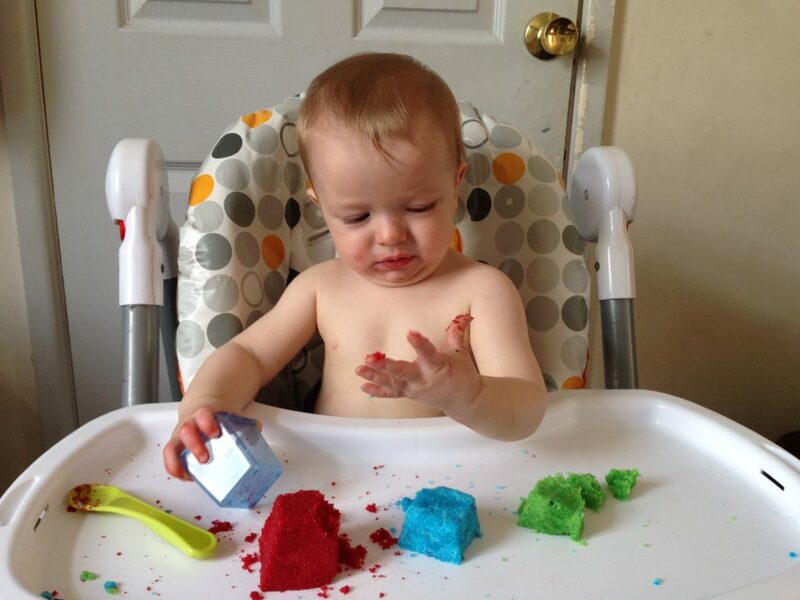 I’m guessing red is quite a potent colour as I had to add loads more sugar to try and dry it out a bit but as you can see from the photo I obviously hadn’t added quite enough, mix in a bit of saliva from his tasting and I ended up with one bright red baby and high chair! Here is a quick snippet of video I managed to catch, you can see his reluctance to touch the ‘sand’. I think I’ll try this one again over the holidays when the kids are home and put it down on the floor so he can discover it for himself in his own time. 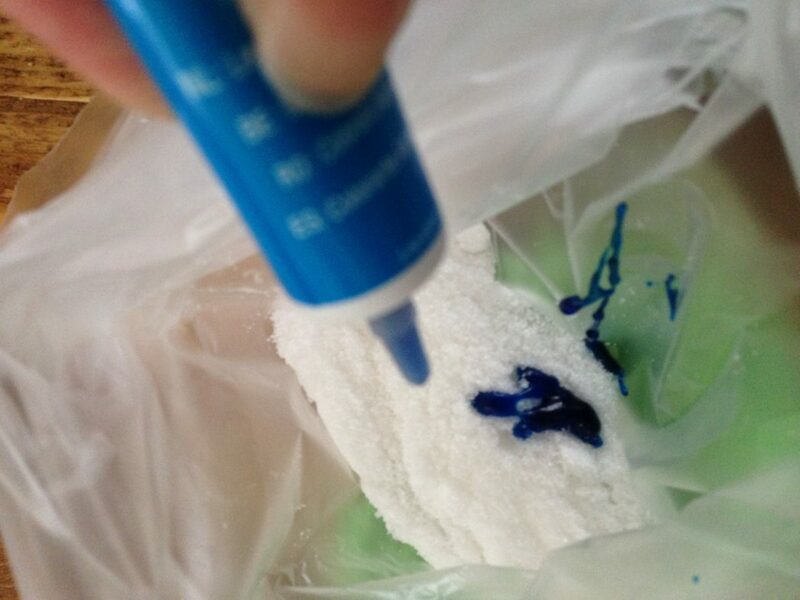 Have you tried any sensory play activities with your children? what are your favourites? 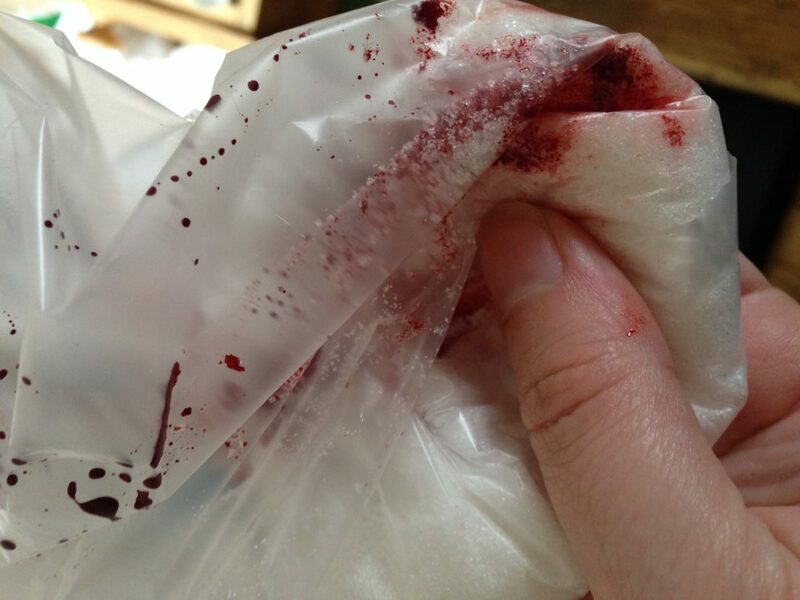 Was the sugar really sticky and hard to clean sounds fun. We recently tired cornflour and hair conditioner after I saw it on a shared post sad to say I am incredibly messy and ended up cleaning after me more than the babies! Actually the sugar part wasn’t too bad. The red colour was the worst! Luckily I’d run a hot bath ready which had cooled down nicely by the time he’d had enough. 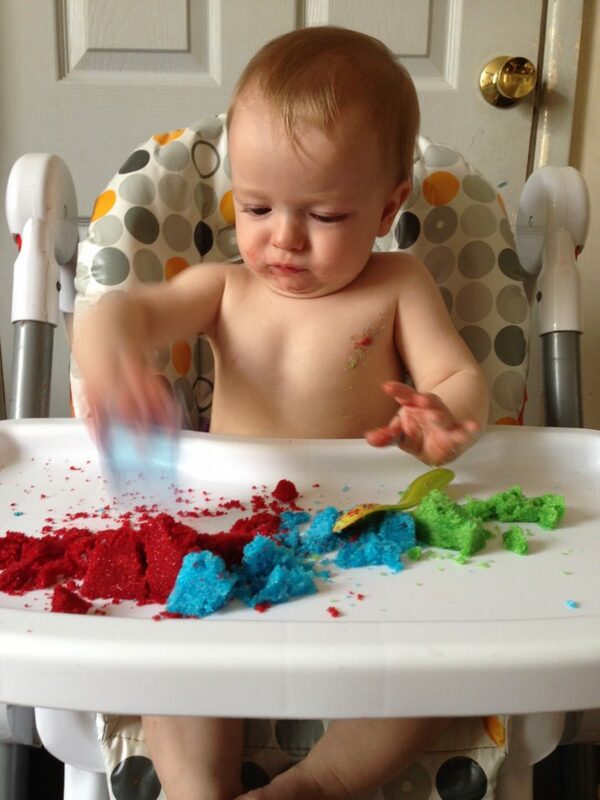 I’ll have a look into the cornflour and conditioner mix for when he’s stopped shovelling everything into his mouth! I was a little concerned myself, but apart from the red it was okay actually! He wasn’t too impressed with the first few tastes of the sugar but I guess once it melted in his mouth he realised how nice it was and then there was no stopping him lol. I’d definitely keep it in mind for baby 2, it was great fun! 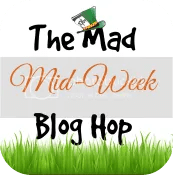 Louisa recently posted…Where does the time go?